Pink, blue, purple or apple green… the iconic Big Bang injects a fun splash of colour into haute horlogerie with these four watches. 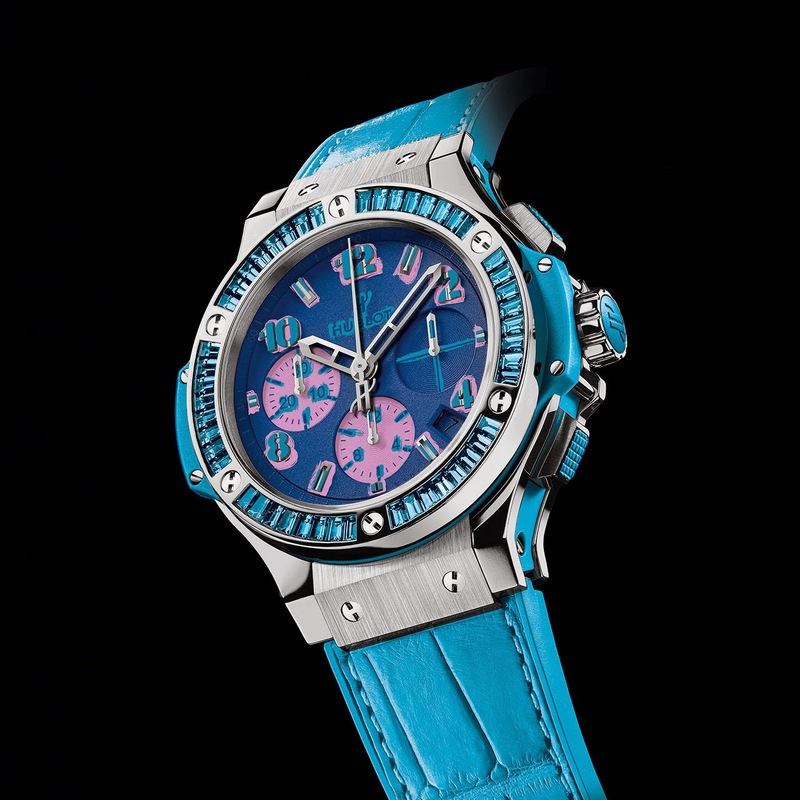 Hublot isn't afraid to liven things up with its own interpretation of Andy Warhol's pop art. 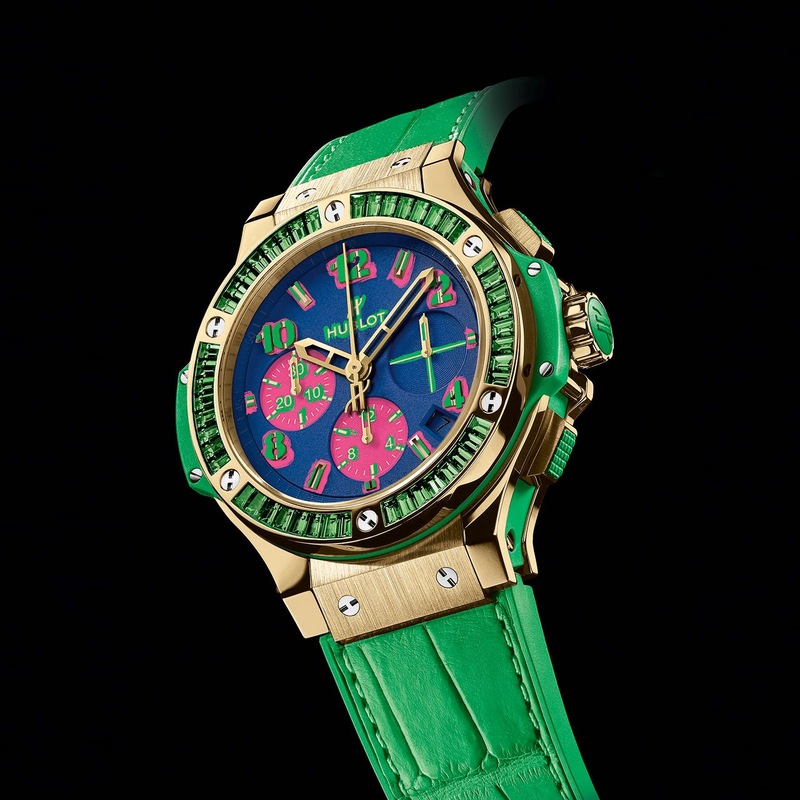 Like the famous Marilyn portrait, this watch is an explosion of colour, the brighter the better. The chronograph counters go for multiple shades while the bezel is set with 48 baguette-cut stones: topazes for the blue version, amethysts for the violet version, sapphires for the pink model, and tsavorites for the green. Each of the 4 versions (blue and steel, purple and steel, apple green and gold, pink and gold) is a 200-piece limited series.